The official notification for AIIMS MBBS 2018 exam is out. The online application process is likely to begin by 05th February 2018. 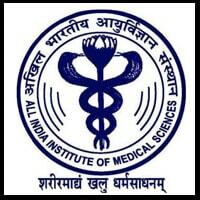 05th February 2018: The All India Institute of Medical Sciences (AIIMS) New Delhi has released the official notification for AIIMS MBBS 2018. Candidates can access the official notification through the official website; www.aiimsexams.org. As per the official information bulletin, the AIIMS MBBS 2018 online application process will tentatively start from today i.e. 05th February 2018 (Monday). The last date for submitting the online application form is 05th March 2018 (Monday) till 05:00 PM. Please note that the registration will be accepted through the online mode only. Click on “Academic Courses” tab on the homepage. Now click on “MBBS” under the “Undergraduate” column. A pop-up window will appear with two links for online application form filling instructions and admission notice. Click on the admission notice to access the information bulletin. Candidates are also advised to go through the instructions for filling the online application form to get familiar with the procedure. Also, check out the specification for photo, signature and thumbprint to be ready with the required documents. Candidates should have passed (or appearing in) class 12th or its equivalent examination with Physics, Chemistry, Biology and English subjects. Candidates belonging to General category should have secured minimum 60% marks in aggregate in the qualifying exam while those belonging to SC/ST/OPH category require minimum aggregate marks of 50%. AIIMS MBBS 2018 will be conducted for admission into MBBS courses at AIIMS New Delhi and 8 other AIIMS (Bhopal, Bhubaneshwar, Jodhpur, Patna, Raipur, Rishikesh, Guntur and Nagpur). The exam is scheduled to be held on 26th May 2018 (Saturday) and 27th May 2018 (Sunday). It will be a Computer Based Test (CBT) conducted in two shifts each day. Candidates should keep a check on the official website.